Norwegian playwright and poet Henrik Ibsen (1828 - 1906) is one of the greatest names in world literature. He is considered the father of modern drama, his contribution to world drama is immense. Ibsen broke the social barriers and wrote tragedies based on middle-class people. Actually he was the first playwright to find success by writing tragedies about common characters. Before Ibsen, tragedies were all about kings, queens and high class people. His deep understanding of human character and human relationship is wonderful. His plays are highly regarded and still staged in all parts of the world. Probably, after Shakespeare, he is the most frequently performed dramatist. 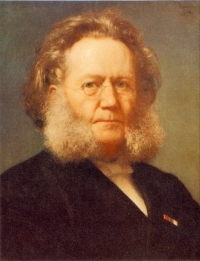 Henrik Ibsen wrote 26 plays and published one poetry collection. His plays are called social plays. He was a proponent of women emancipation. His plays created social debates. His plays do not have artificial plots and complex characters, he wrote about everyday life of his time, which also have social relevancy in our time. James Joyce described Ibsen as the greatest genius of modern times. James Joyce and Thomas Mann studied Norwegian in order to read Ibsen’s plays in the original language. When Henrik Ibsen was 70, he received gifts from English admirers including George Bernard Shaw, Thomas Hardy, J. M. Barrie, Gilbert Murray and H.H. Asquith (the future prime minister of England). The Kings of Sweden and Denmark presented him medals. Ibsen was 78 years old when he died. A Doll’s House tells a story of Nora and her husband Helmer, and the circumstances leading to Nora’s leaving her husband and children to discover her true self. Nora and Helmer have been married for nine years, and she has a secret which she had not shared with her husband. She had borrowed money from Krogstad, a clerk in a local bank by forging her father’s signature when Helmer was seriously ill. Now Krogstad, who is losing his job, threatens Nora to influence her husband and save Krogstad’s job. Nora believes that on knowing her secret Helmer will take the blame himself and rescue her. Contrarily, Helmer, after knowing her secret, scolds her for her crime of forging signature. Later Krogstad withdraws his threat, but Nora discovers the true character of her husband. All her life she had just been a doll, a plaything for her husband. Upon discovering the truth of her relationship, Nora abandons her husband and children. The play created a great sensation when it was first produced in Copenhagen in 1879. Nora’s action of leaving her husband and children started heated discussions. Today in the Western world, a woman leaving children and husband is not unknown thing, but in the time when A Doll’s House was produced, people could not imagine such thing to occur. The audiences were accustomed to the happy endings, what were known as ‘well-made plays,’ and could not accept the fact that a woman could abandon her husband and children. One distinguished actress of the time refused to play the role of Nora, and Ibsen was forced to rewrite the ending where Nora stays with her husband and children. However, the ending was restored in the later performances. Henrik Ibsen called A Doll’s House a modern tragedy. Before A Doll’s House, no play had been widely discussed by the people outside the theatre world. Marriage was no more a divine institution, divorce became accepted amongst incompatible partners. A Doll’s House shows a woman’s emancipation from the propriety rights which a husband claims to have over his wife. 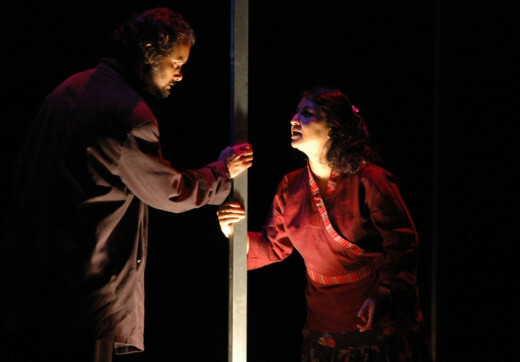 A Doll’s House was first staged in Nepal, in 2003, by Aarohan Theatre Group, with the title Putaliko Ghar (in Nepali). 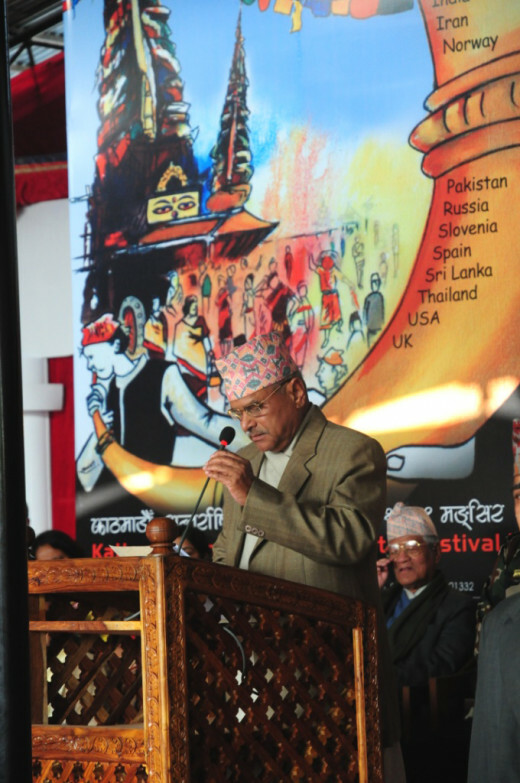 It was translated, designed and directed by Sunil Pokharel. 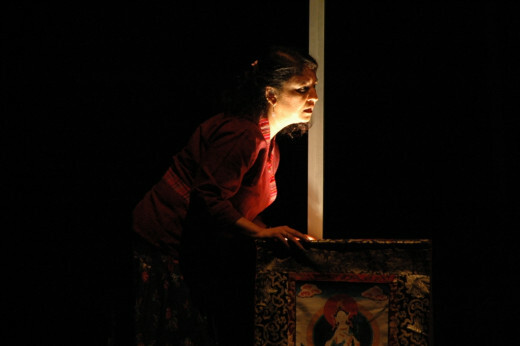 The Nepali version of A Doll’s has been performed numerous times in Europe and Asia. 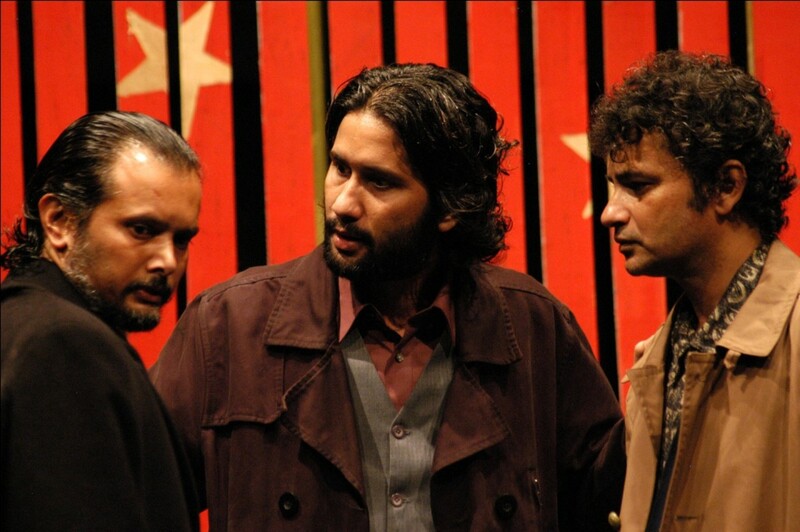 It was chosen to participate in Ibsen Theatre Festival 2004, in Norway. 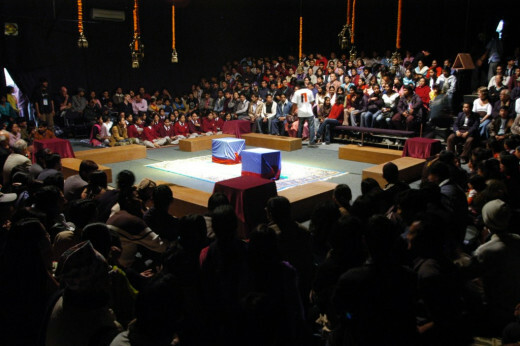 Different versions of A Doll’s House were staged in Norway and Ibsen’s grandson opined "Among all these A Doll's House, I liked Nepali performance the best." 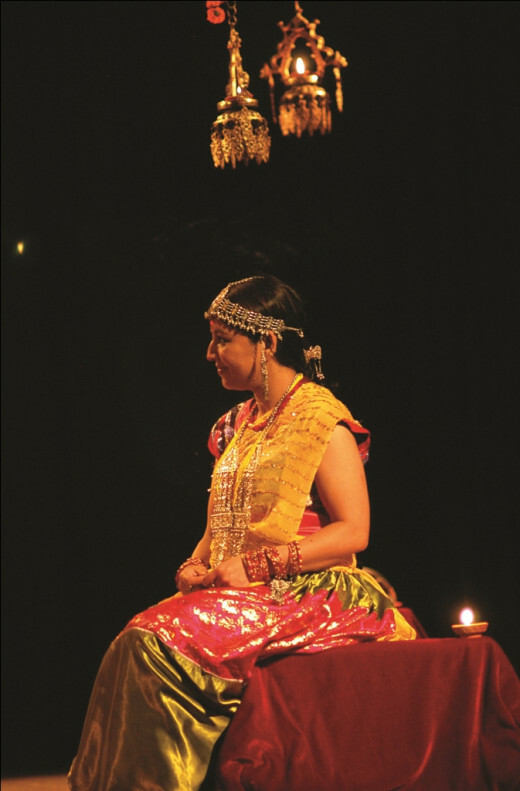 A Doll’s House is one of the few successful theatre productions in Nepal, it has been performed more than 150 times. 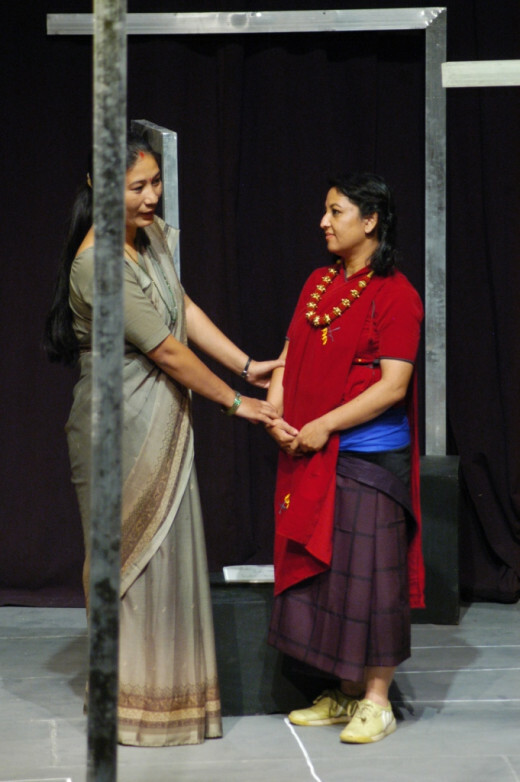 Many Nepali women have burst into tears while watching the play, men felt very uncomfortable during the last scene, while Nora left her husband and children. 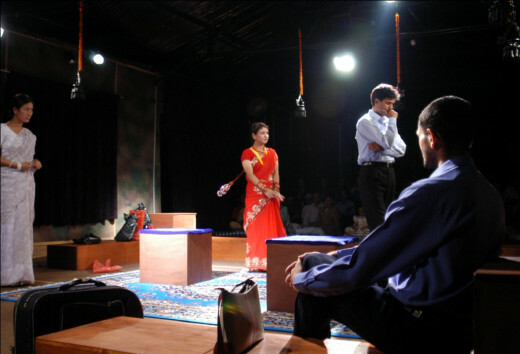 When A Doll’s House was being staged in Nepal, Nepali Nora and the director of the play had nearly reached a decision to end their thirteen years long marriage. A Doll’s House made them understand life a little better. The Master Builder was written and published in 1882, and performed first time in 1893, in Berlin. Itis a play about two people Halvard Solness and Hilde Wangel. Halvard Solness is a self made architect entangled in a loveless and childless marriage. Hilde Wangel, a young girl comes to see the great architect and offers herself. Ten years ago Halvard had build a spire in Hilde’s town and climbed with her. All these years Hilde remembers Halvard, who has recently completed a house with a tall spire. Hilde’s asks Halvard to take her to the top. When they are on the top, Hilde hops and cries. Old Halvards loses his balance and falls, and eventually dies. Hilde is rapturously happy. The Master Builder puzzled many critics, but received wonderful reception from the press and the public. It is a psychological play embedded with profound symbolism. Halvard and Hilde’s relationship was based on Henrik Ibsen and Emilie Bardach. Ibsen was 61 when he fell in love with Emilie, a 16 years old girl. 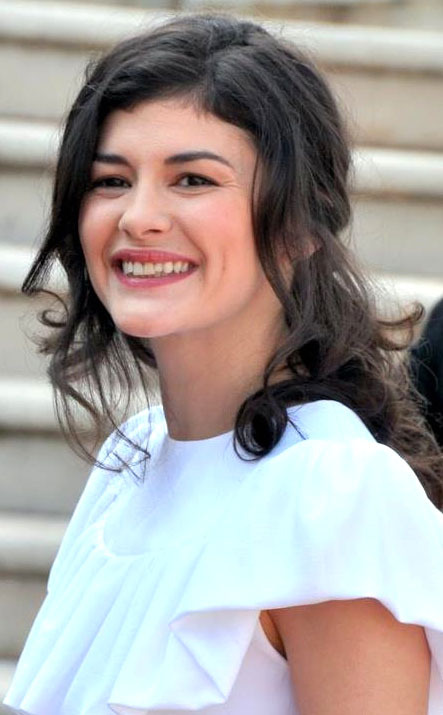 Hilde’s portrayal is a monstrous caricature of Emilie. Halvard is the nearest self portrayal Ibsen has ever done. 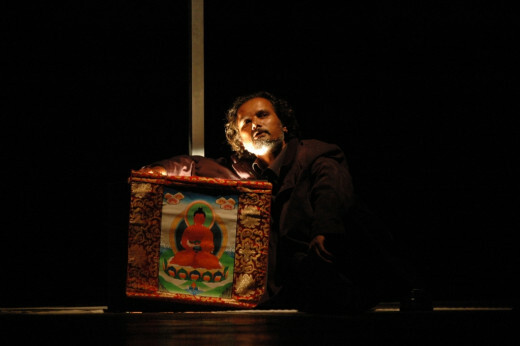 The Master Builder has been performed in Nepal numerous times with a title Mahan Shilpee by Aarohan Theatre Group. 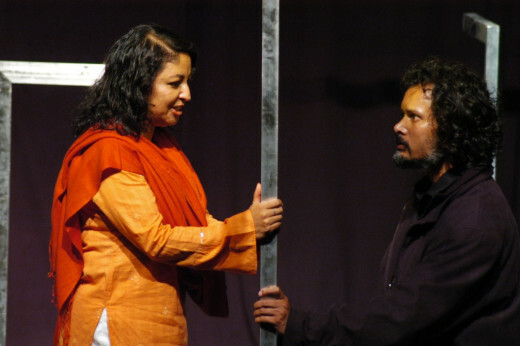 The play was translated in Nepali byJeebesh Rayamajhi and Bal Bahadur Thapa, and designed and directed by Sunil Pokharel. 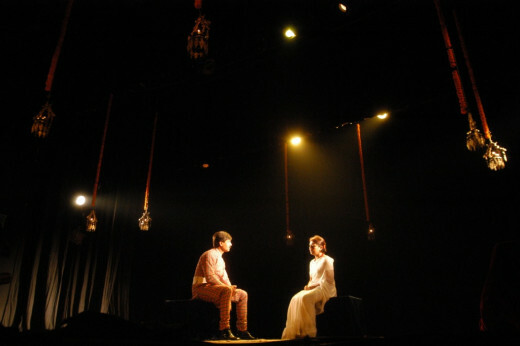 The production stills, photographed by Dipendra Bajracharya – courtesy of Aarohan Theatre Group – are from A Doll’s House and The Master Builder. 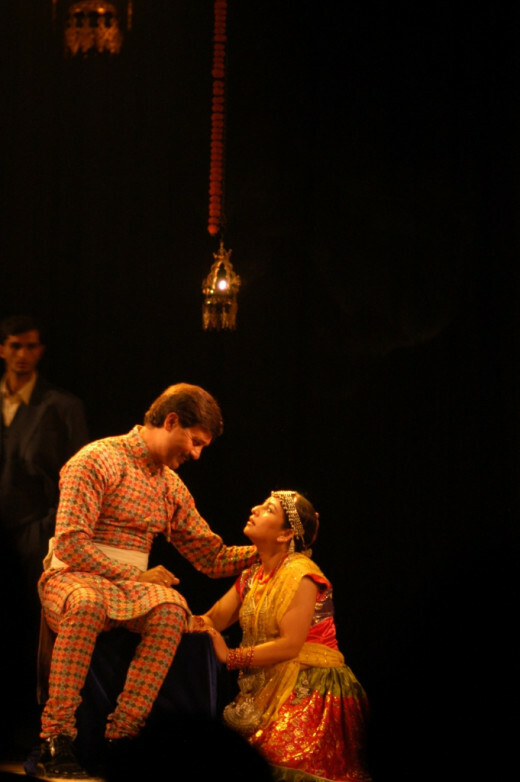 Aarohan Theatre Group is highly regarded theatre company in Nepal. It has performed in many countries in Asia and Europe. 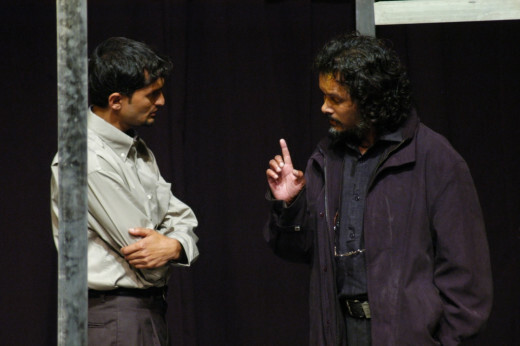 Aarohan Theatre Group also operates Gurukul: A School of Theatre. 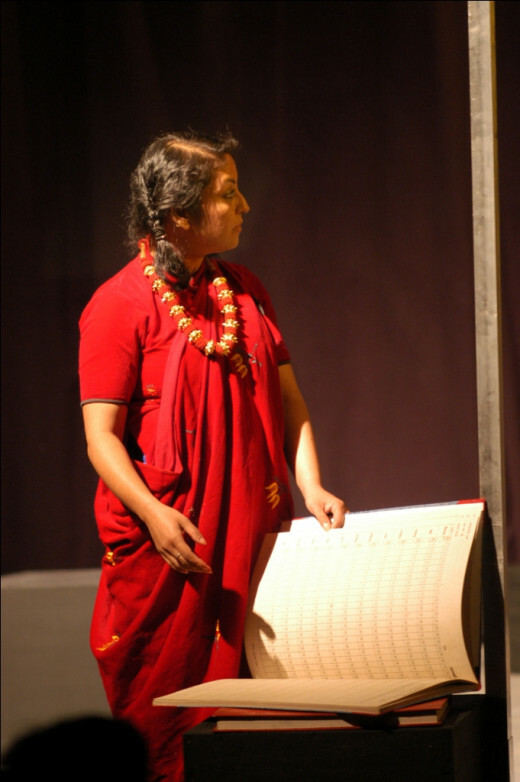 Currently, Aarohan-Gurukul is working for the third installment of Kathmandu International Theatre Festival. You did a super job on the interview. New to me! Hi Nithya, Ibsen is a wonderful playwright. His plays have social relevance even today. A great write and a valuable one supporting woman's right to live happily. I was introduced to Ibsen today. Thanks for sharing. Hello Mike, thanks for your wonderful interpretation. I'm honored by your visit. Vinaya you have branched out, this is a mixture of Western literature and Eastern theater. You have cleverly blended the two into a presentation filled with warmth and interesting facts. @Nicole, I did not study theater, but I read and watch plays. Thanks for your comment. Hi Vinaya, and what a great hub this is. Wow...I knew about Ibsen through Grieg's incidental music to Peer Gynt - I knew he was a playwright, but didn't know just how great he was. Yes, 19th century narratives are all full of women leaving their husband and children for other men - sometimes younger, handsome and more virile, as is the case in Tolstoy's Anna. 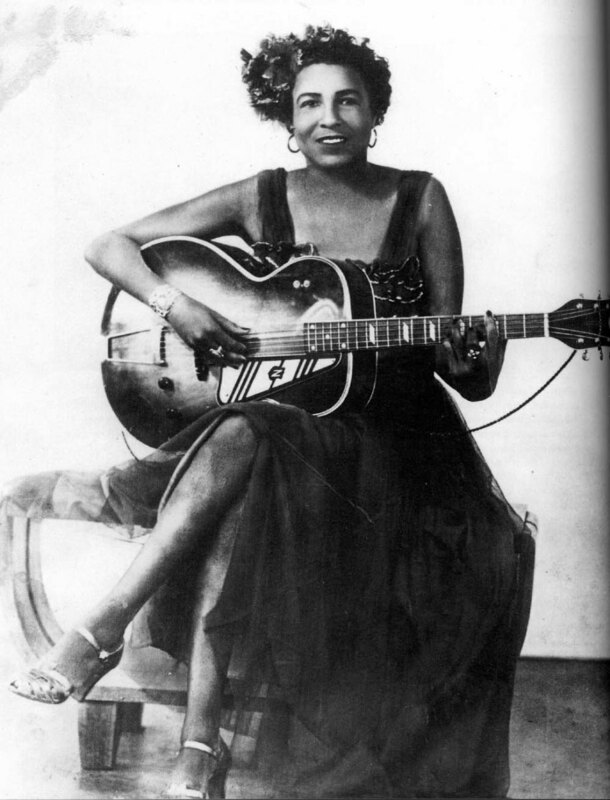 Modernism was on the rise and the concept of femininity took on new meaning. I love the play, The Doll's House. Ibsen is a great playwright and I agree with your assessment - after Shakespeare, Ibsen is one of the greatest in the world. 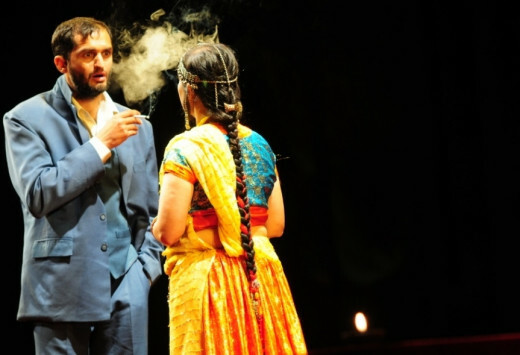 I liked seeing photos of the Nepali production. That sounds very interesting and I would have loved to have seen it also. Your articles are always so interesting and informative. Thanks for sharing this with us! Voted up and shared! Awesome piece here. I had to read this play in my Theater class back in college and enjoyed this one. @Mhatter, thanks for appreciating my work. @Tillsontitan, I think A Doll's House is Ibsen's best work. Thanks for your comment. 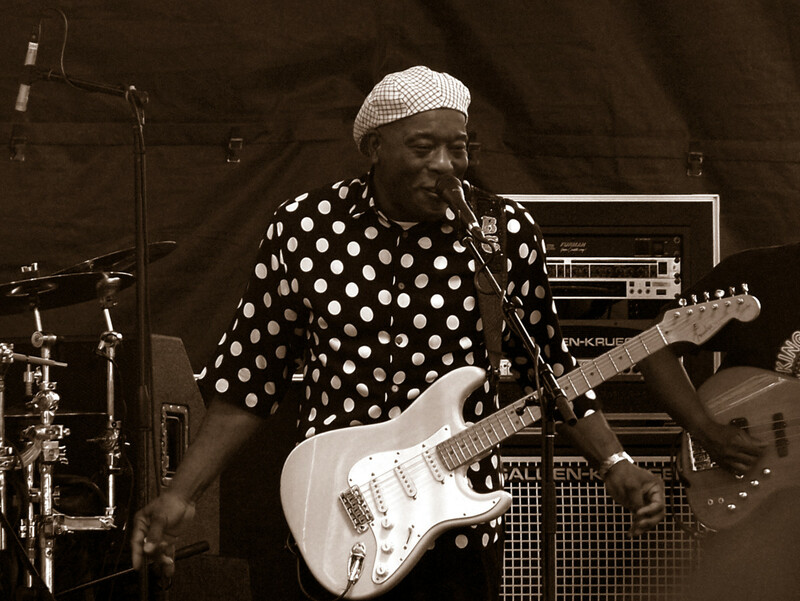 @b. Malin, even though film and Television are replacing theater, live performances have not lost their charm. we share the same passion regarding theater. @teaches, Ibsen's Nora is a wonderful character, she represents women's voice. Thanks for your comment. @Nell, critics were not happy with Master Builder, however, audience and the press appreciated the play. Thanks for your comment. @augufanani, thanks for sharing your views. Nora's story is a social reality even today. 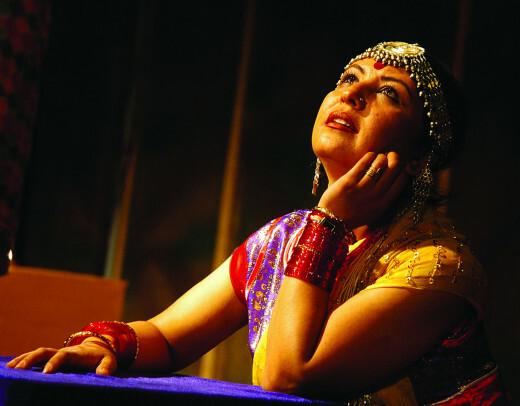 @Hypenbird, Nisha is a wonderful theater actor. Thanks for complimenting my work. @Eiddwen, thanks for your comment. A brilliant hub and here's to so many more to come. You did a fabulous job of letting people know about Ibsen and his talents. His plays are amazing and I would love to see one over in your country. That actress is gorgeous. Thanks so much Vinaya. I enjoyed this very much. Thank you for sharing this effective hub summarizing those world class stories so that I know the essence of the stories. A Doll's House is a very interesting story although it's about something contradictory the existing values at that time but that's the point which had made the play so popular. This play is interesting. I think that Nora had a decision to make, which may not have been the best, to provide for needs. I am sure this play challenges one to think about the reasons and the results for both the husband and wife. Thanks for sharing. I so Enjoyed reading your Educational Reviews on both Plays, Vinaya. While I knew about the "Doll House", I too was not familiar with the "Master Builder". Your Excellent Hub Write made both plays come to life. I Love going to the Theater to see a Play, it makes for an Exciting Evening. I'm embarrassed to say I'm not familiar with the Master Builder but happy to say I am very familiar with the Doll's House. You've done a wonderful job of explaining both and adding the Nepal version. The pictures are lovely. Good review. Thank you. I think you brought this to life. @Radha, A Doll's House still is a social reality in Nepal, however, very few women are as brave as Nora. Thanks for your comment. @PurvisBobbi, performative art is one of my subjects of interest.Thanks for appreciating my work. @unknown spy, thanks for your sincere follow. I'm much grateful to you for always reading my hubs. @Jhamann, Ibsen is one of my favorite playwrights. I have read Peer Gynt, and watched/read A Doll's House and The Master Builder. Thanks for your comment. you did a great job bringing this play to life Vinaya. you really write from the heart. What a great job you did on bringing this play to life. I love plays and great works of art. Well done, and thank you for this I enjoyed it so much. I voted beautiful, awesome and interesting. I am very familiar with a Doll's House, very controversial in its time. 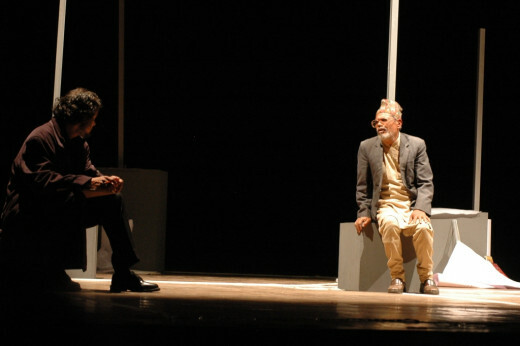 Character of each person is revealed in the play. Many women are in her situation and do not realize that they are. She comes to realize it more clearly than some women.